Hello. I am so glad you found my site and have ventured here to learn more about me. The purpose of this website is to help others find a way to over come life’s natural obstacles, and become something greater than they are today. I grew up in middle-class home. I never felt the want for life’s necessities, but never felt the freedom that sometimes we think excess brings. Living a modest lifestyle best describes it. I did however feel an abundance of love from parents and family. 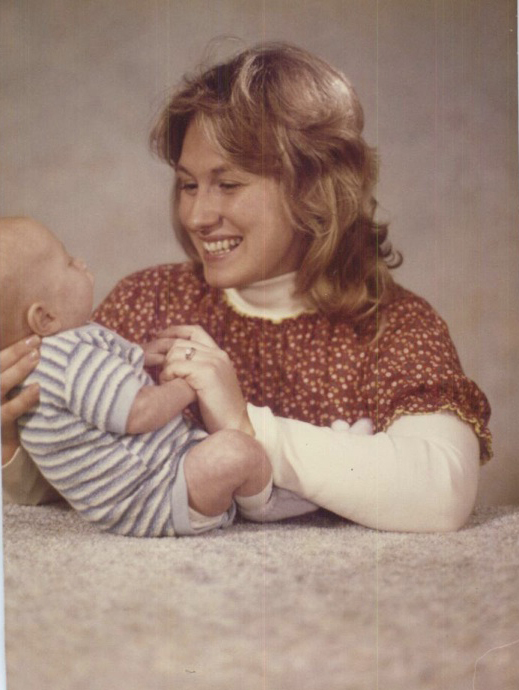 This picture to left is of my mom and me. Do you see that look in her eye. You know just by looking at this picture that my mom loves me. She still looks at me this way. Why though? When this picture was taken all I did was eat, poop, cry and make funny sounds. So why did she love me? What did I ever do to deserve that love? God looks at us the same way. He loves us. We’ve really done nothing to deserve it. So why then, does he bless our lives so much? Simply put, because we are His children. That alone is enough. My life, which is probably a lot like yours has been full of ups and down, self-doubt and self-confidence, fear and faith, sadness and laughter, desperation and peace. I have a lot of stories to tell too. Like the time I got pulled over going way over the speed limit and how my KFC hat got me out of a ticket, or the time when I was 16 years old and was confronted by a gang at gun point. I grew up in Southern California. I loved my growing up years. But they were not without struggle. They were not without great times either. I experienced bullying, I experienced blissful teenage love. I had horrible friends that at the time felt like they ruined my life. I also had friends who continue to be my best supporters. I played water polo in high school, was in Romeo and Juliet, and successfully failed to land a spot in student government. But that did not stop me from trying later on, and eventually I held a few offices at my community college. I have lived all over Southern California, Nebraska, in Dallas, Iowa and now in a suburb north of Salt Lake City Utah. Some of these area’s were posh with a lot of wealthy people. I have also lived in areas brushed right up against government housing projects and know that life as well. Now, I am married and have been since 1998. I have five incredible kids. By trade, I do marketing for the nations leading franchisor of home inspection services. I also play and coach water polo, love to snowboard, learning to ski, and have fun cooking trying to invent new dishes. My greatest fulfillment comes from helping others realize their real identity as Children of God, and the potential that comes from that knowledge. I am always eager to speak to groups of people on the power of doing hard things, knowing who we are, and why going the extra mile is much more advantageous that living a life of mediocrity.